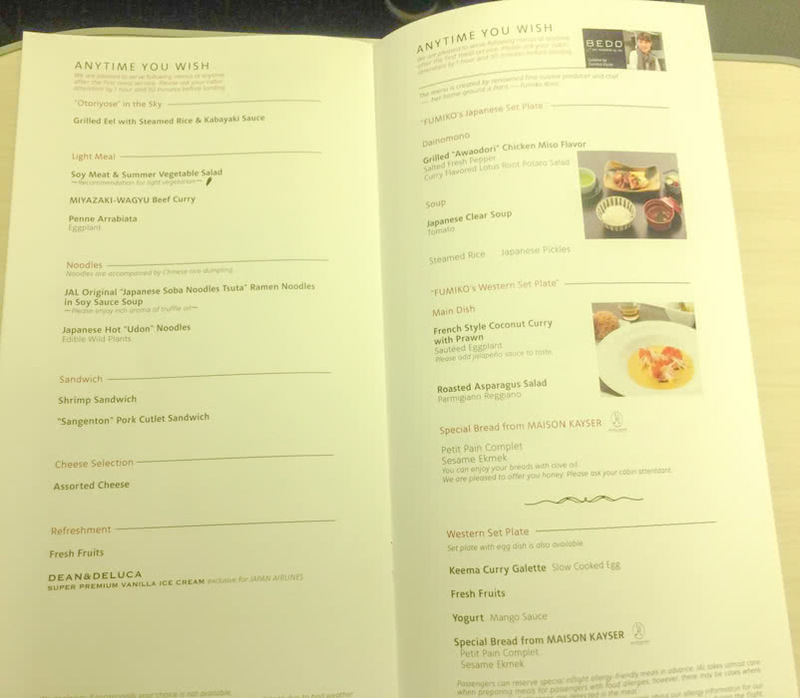 After a stop in Tokyo following my flight on Japan Airlines in their JAL Sky Suites Bangkok to Tokyo, I continued my journey on Japan Airlines to New York. 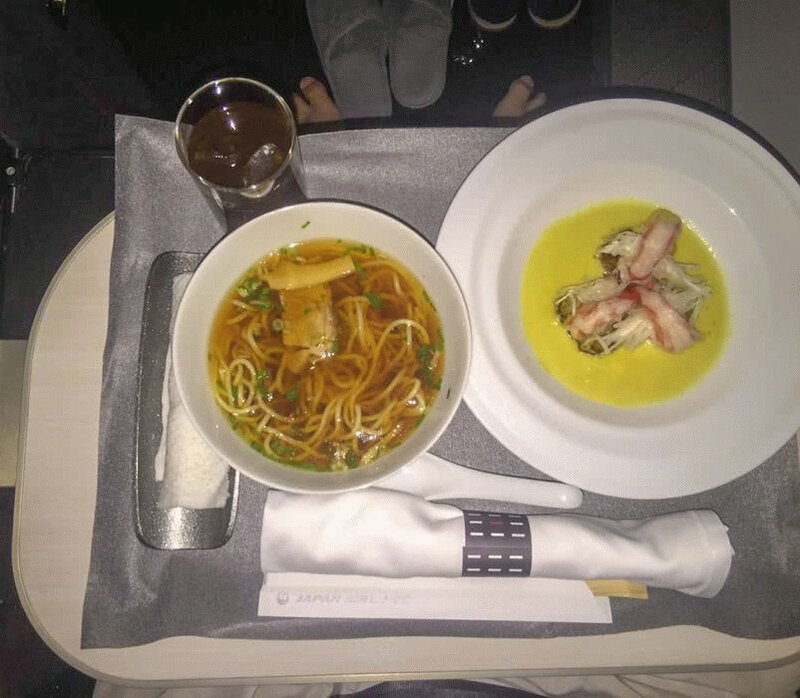 Once again, my review is describing the Business Class JAL Sky Suites. 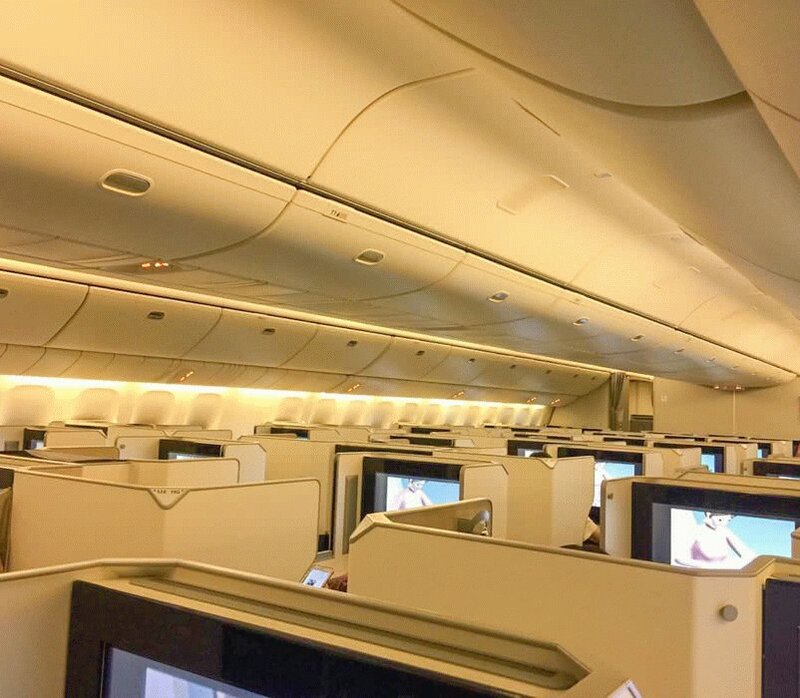 This Boeing 777-300 plane had a 4 class configuration, and I was seated in seat 12K in Business Class, the right window seat in the last row. 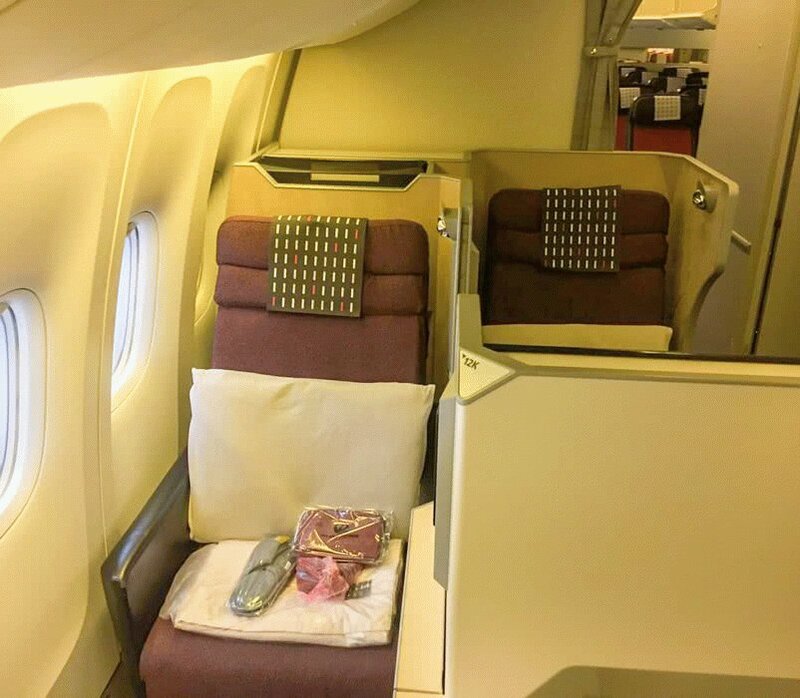 The seat was almost identical to the Bangkok to Narita flight that I had previously flown. It had a 74 inch pitch, was 25.5 inches wide and could recline into a fully flat bed. The only difference that I noticed was the shape of the small table under the TV monitor in front of me. Instead of being a rectangle, this one had a trapezoid shape. 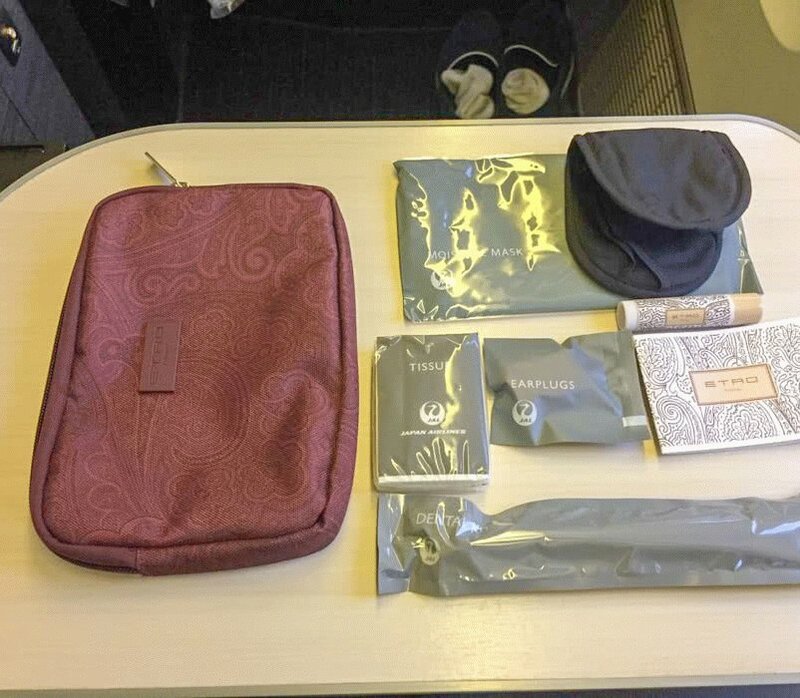 Waiting for me in the seat were the amenity kit, blanket, slippers and SONY noise cancelling headphones. Somehow, the Etro amenity kit on this flight was a different shape from the previous one. It still had all the usual items; eye mask, earplugs, dental kit, lip balm, and some unusual ones like a pack of tissues and a moisturizing mask. For the seat by the window, the seat controls, remote and storage area for the seat were located on the left side of the seat. The magazine and menu rack was located in a compartment on the right side of the TV monitor. 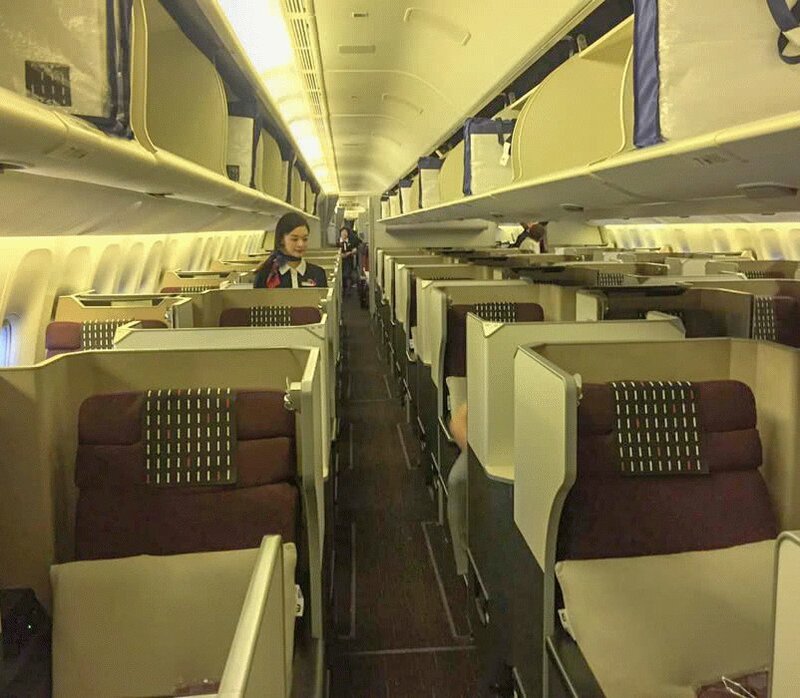 As usual, Japan Airlines began by giving out a drink and a hot towel after boarding and before takeoff. Soon, shortly after 6.30 PM, we were airborne. 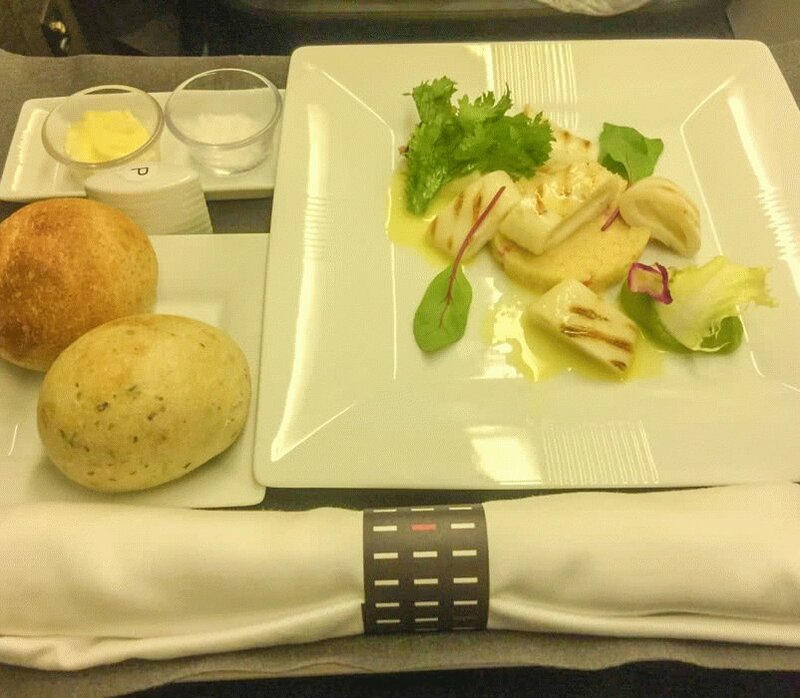 Even though this was a relatively long flight, there was only 1 main meal service, largely due to the time difference. 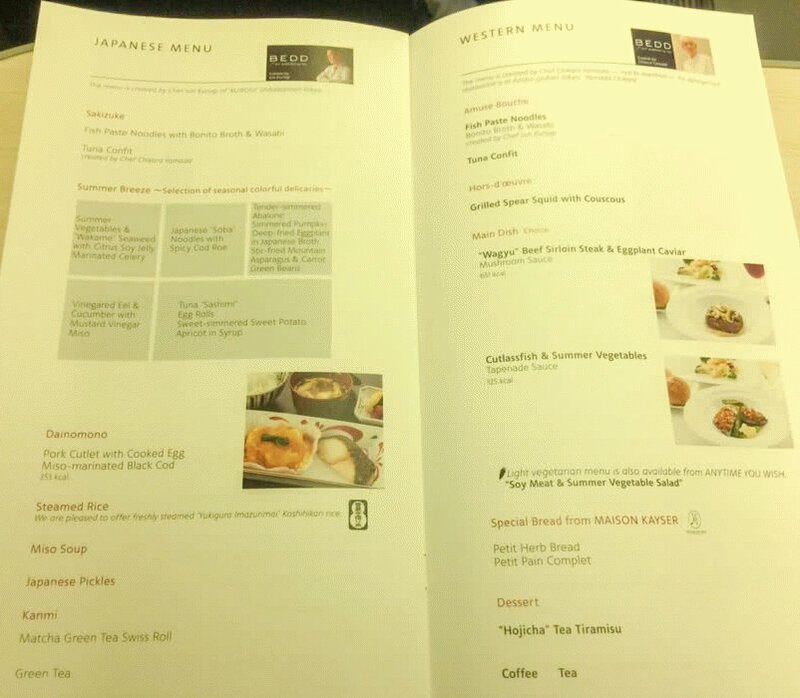 Japan Airlines offered the choice of a western meal or a Japanese one. Of course, they also offered a list of items which you could order anytime you wanted. For my dinner, I had the western option of a grilled squid with couscous appetizer, and a Wagyu sirloin steak as the main. 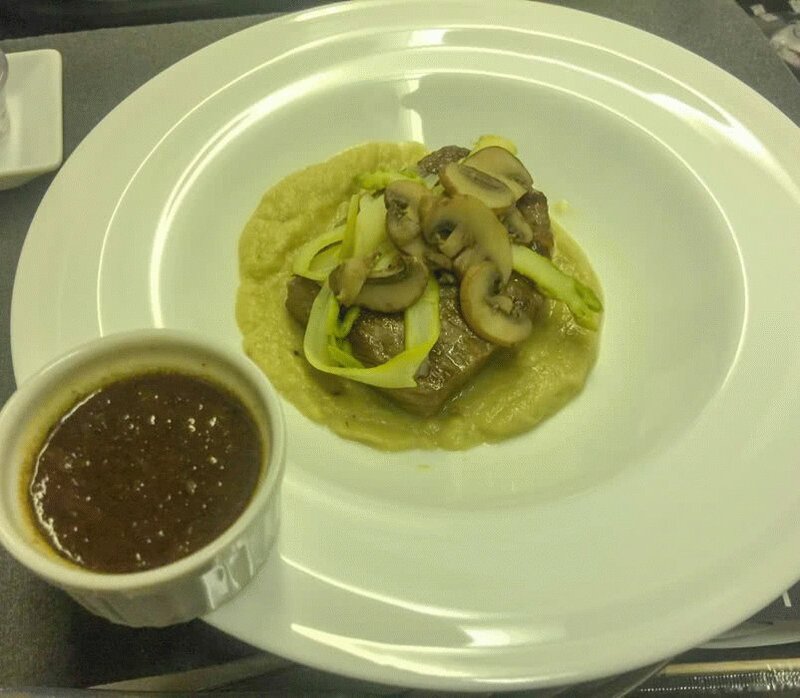 The food was generally good, but I must say that Wagyu steak served in the air is probably not the best way to appreciate this fine meat. Of course, it was tasty, but I cannot help but wonder how much better it would be in the ground. 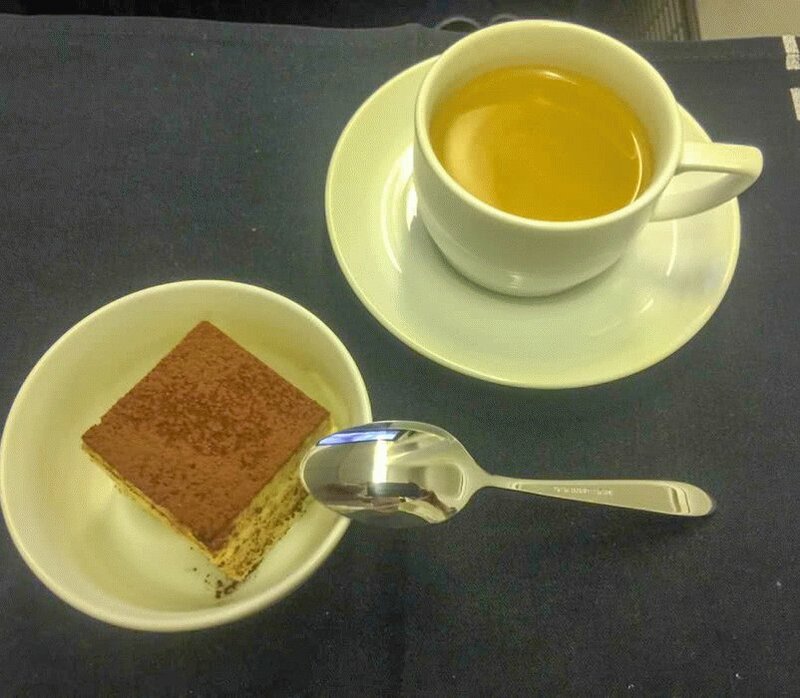 After the meal, I had a cup of tea and a tiramisu cake for dessert. I watched some TV series while eating and after for a short while, before deciding to force myself to take a nap. 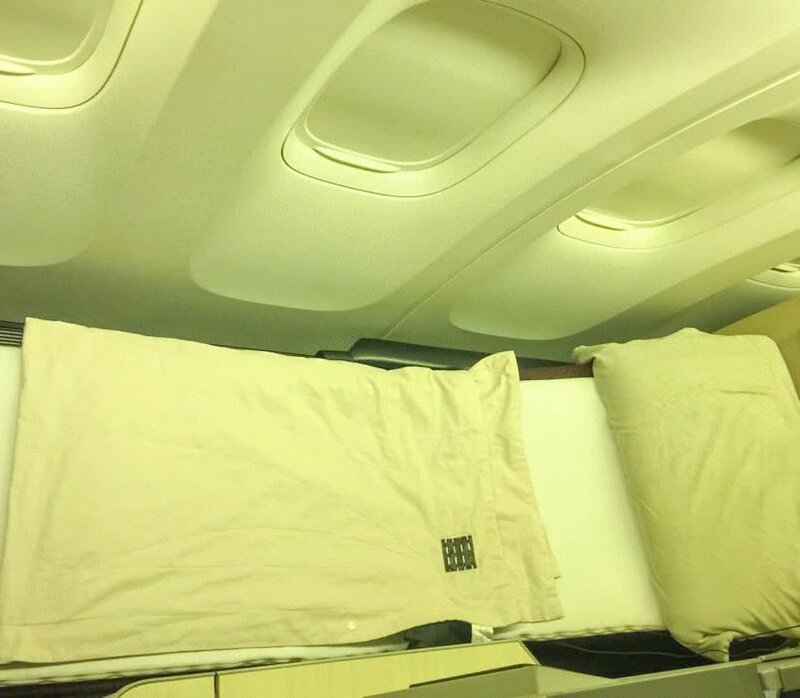 For this flight, JAL actually gives a padded mattress to put onto the seat for a better sleep. I managed to catch a few hours of sleep, before waking up about 2 hours before landing. Feeling a little bit hungry, I ordered from the anytime menu. I had a French coconut curry shrimp and a bowl of Soba noodles. The shrimp presentation was perfect, exactly like the menu pictures. It was also very delicious. 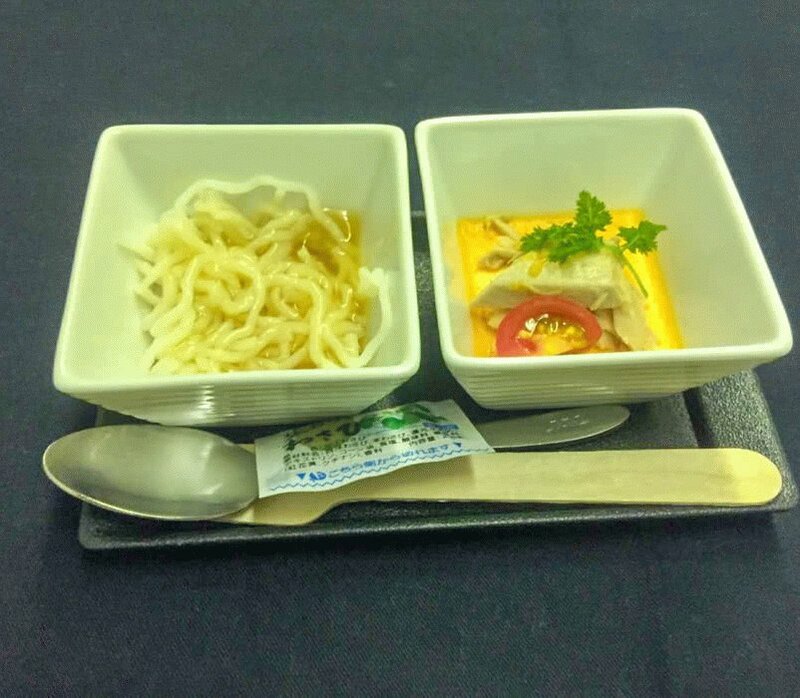 The soba noodles were also very comforting and well balanced. 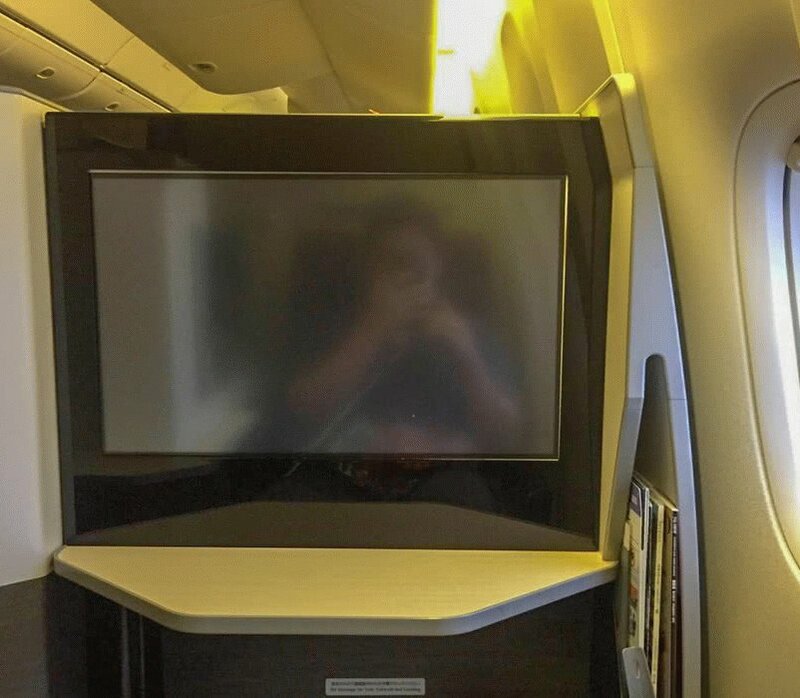 I continued watching movies for the rest of the flight until we landed around 6 PM in New York. 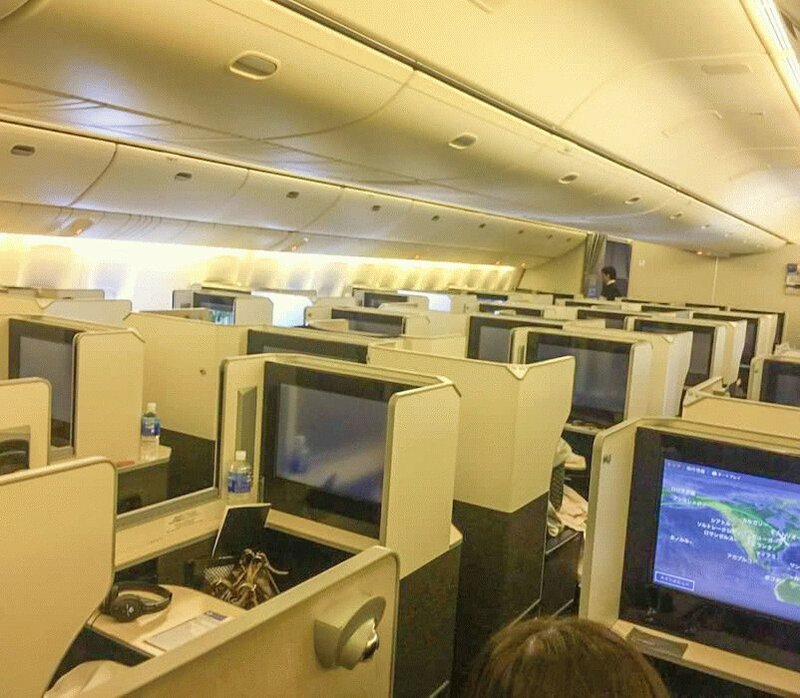 Overall, the flight was very good, and I would happily take JAL anytime for an overnight flight! 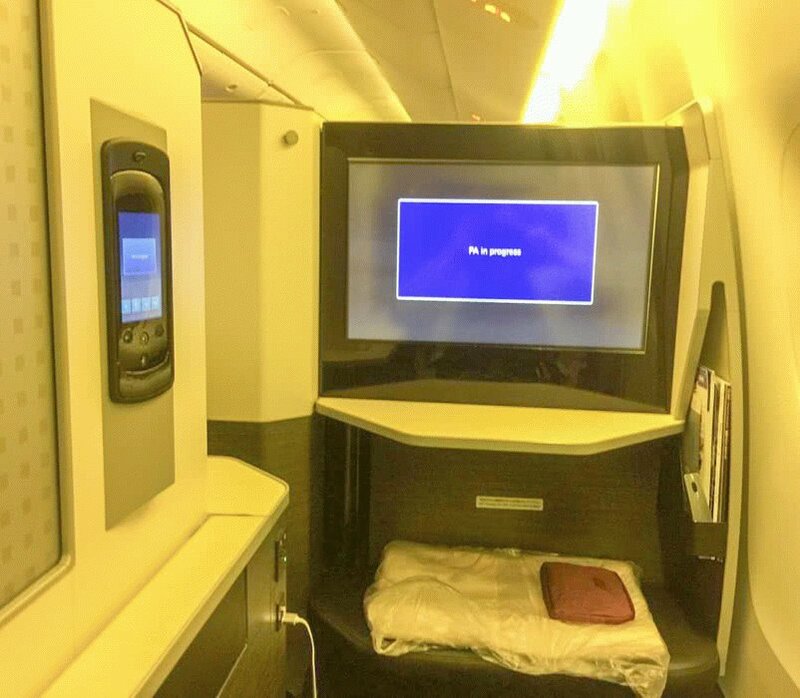 Have a read of my other Japan Airlines flight reviews in Business Class to find out more. Review by contributor Lenard Lim.